Yes, set up is included. Delivery fees may apply to areas farther out from our office. See Delivery area page. What areas do you deliver too? We deliver to most of San Gabriel and Inland Empire. Delivery fees may apply depending on the distance from our office.We also deliver to other counties but please be aware that due to rising gas prices and the possible need for an extra truck and labor that travel fees can be quite high. Please call our office for a current quote. Saturday Rentals: We deliver friday 12pm-8pm or Saturday 7am-12pm. Pick up Sunday unless same day pick up is requested. Sunday Rentals: We deliver Saturday only if items are available or Sunday 7am-12pm. Pick up is Monday unless Same day pick up is requested. Monday-Friday Rentals: Delivery between 7am-12pm. Pick up is the next day. Unless Same day pick up is requested. No. The jump should be clean when you get it. 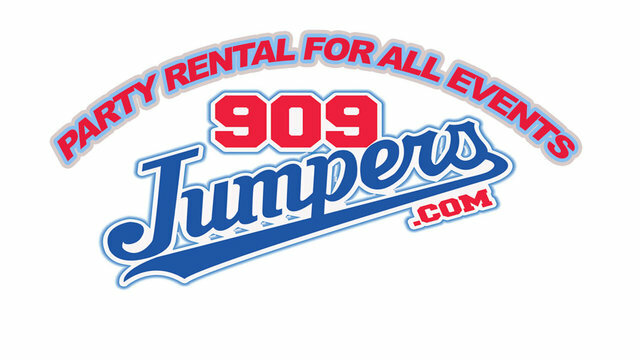 [company name] cleans every Jumper after every rental. The driver also carries all the necessary supplies to clean the jumper just in case. The pick up driver will also turn on the unit at the pick up location to inspect the unit. Yes. A blower keeps air in the jump unit the entire time the kids will be using it. Once unplugged they deflate. That's why we require an outlet within 25 feet of the unit or a generator. If the outlet is further away please provide a 12 gauge extension cord no longer then 50 ft. The jumper can be turned off when not in use. We love setting up at parks but most parks do NOT have electricity. If you want to set up at a park, you must rent a generator. We rent generators starting at $75. Also, Parks require an insurance certificate with your information. It is an additional $50. See our park rental page. If paying by cash, please have exact change as our drivers do not carry cash. If paying by debit/credit card there is a 3% convenience fee added to the total. In the event you need to cancel your items for any reason please call our office. Deposits are non-refundable but can be credited toward another event within 180 days. If not used by that time the deposit will be forfeited. Yes all orders under $200 require a $25 Credit Card deposit. Orders over $200 require a 25% Credit Card deposit. Deposit is nonrefundable if you cancel your order. If you cancel you will be given a rain check that is good for 6 months. Check the requirements listed with each jump. Also, make sure you have at least a 4 feet of walk way access to the area where it will be set up. The jumps can weigh up to 650 pounds so we need a clear path with ample room. We can set up on Grass (our favorite and best for the kids), dirt ($10 fee), asphalt, and concrete. Sorry, we can't set up on any type of rocks as the constant rubbing will wear through the vinyl jumps. Yes and no. You are not responsible for normal wear and tear on our units. Seams may develop tears in high traffic areas over a period of time. If this happens please alert us at once so we can remedy the situation. If however, damage occurs due to failure to follow our safety rules or negligence (i.e. not turning off the blower in high winds) you will be responsible for all damages up to and including replacement of the unit/blower etc which can cost thousands of dollars. .